While Western medicine often sees healthcare as a battle against a disease or injury, Native American tradition holds that true healing come through dialogue - with our afflictions, our spirititual allies, and our own innate wisdom. With gentle guidance and a rich understanding of tribal medicine, Dr. Mehl-Madrona offers you essential practices for tapping into the resources of the spirit world with Native American healing meditations. 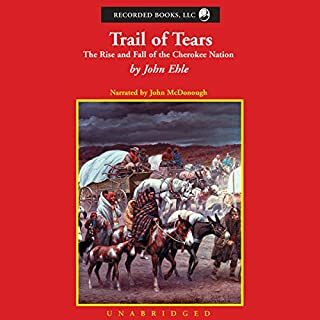 Most histories of the Cherokee nation focus on its encounters with Europeans, its conflicts with the U.S. government, and its expulsion from its lands during the Trail of Tears. This work, however, traces the origins of the Cherokee people to the third century B.C.E. and follows their migrations through the Americas to their homeland in the lower Appalachian Mountains. Using a combination of DNA analysis, historical research, and classical philology, it uncovers the Jewish and Eastern Mediterranean ancestry of the Cherokee and reveals that they originally spoke Greek before adopting the Iroquoian language of their Haudenosaunee allies while the two nations dwelt together in the Ohio Valley. I truly enjoyed listening to the book. This book tied all the thoughts and questions I had about Ameridindian DNA. Listening to the Book was a trip back through the Story. Jack Chekijian's, smooth voice is like a Tranquil canoe trip on the rivers of time. 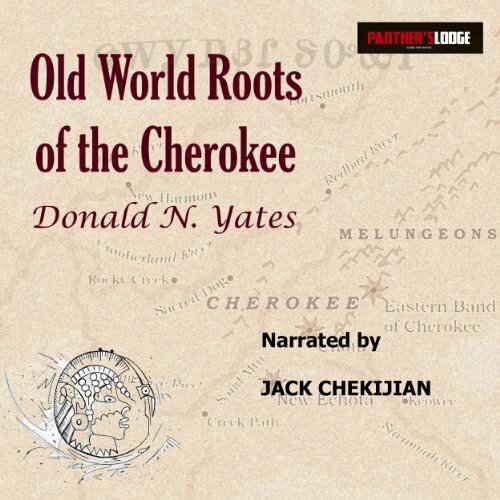 Donald Yates delivers a well researched, thoughtful, personal account of the Origins of the Cherokee. The book takes you into the Ancestry of Cherokee Tribal chieftains and their daughters as well as Elvis Pressley. Discover it for yourself. I had oral traditions about Native American Ancestry mostly Cherokee. I started working on this aspect of my family tree with my Dad’s and Maternal Grandmothers Ancestry. This proved to be An interesting and frustrating journey. I couldn’t find much online about Native American Research in early 2000. Many Cherokee researchers that were online were very helpful. The most insightful site I found though was Panthers Lodge owned by Dr. Donald Panther-Yates. Shortly thereafter, he began a DNA Project with Southeast Indian Ancestry. He was looking for Straight Matrilineal descent and/or Patrilineal; The emphasis on Native American Women who had married Indian Traders. This was a very unique approach. Since my Trader Lineage comes through my Maternal Grandmother with her Father’s Family, I could not participate at that time with the limitations of the DNA tests and projects at that time being strictly to Y or X. So, I answered the call for volunteers and helped by constructing and researching with the participants on their digital family tree, beginning with Gayl Wilson’s unique Cherokee History. Thus began a journey through the Southeast Indian Tribal Stories. Find your Journey too! I also am getting the complete Print version with tables and pictures. 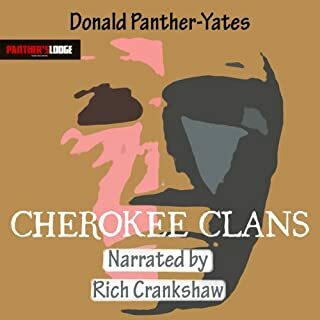 I Think having the Audible version as a companion to the Print book is very helpful in hearing how the Cherokee Words are pronounced. This book was really interesting to listen to. It was especially ironic that it came up for me to listen to as I was doing research on my family's genealogy. Thus far my story goes back to descendents of the American Revolution, the Mayflower and Holland. At the same time the different "native" tribes were trying to learn how to interact with the "white man". After only having to deal with, be at war with, etc. other "native" tribes. *I received this work in exchange for my review; good, bad or meh. I've written all 3 kinds. 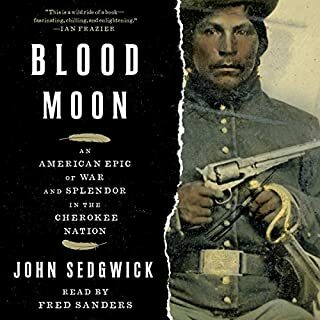 This is an interesting read.It deals with facts on the migration,culture and religious aspects of the Cherokee people.Jack Chekijian is the perfect narrator for this book. I received this audio book as a gift in exchange for a honest and unbiased review. 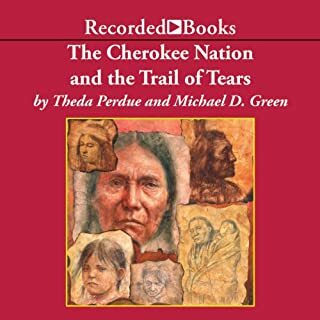 This book is about the history of the Cherokee Indians which happened to be the largest Indian nation in the US. it explains so many things such as their alphabet, religion, even their DNA and how it reflects on them. Read along as the narrator explains how the life styles were for them and how their lives changed thru time. I really learned a lot from this book! It's funny, in school we learn about Indians, but only the bare minimum. This book explores the life and times in great detail. If you like the Discovery Channel, The History Channel and / or National Geographic, you will love this book. I never thought of myself as to liking the non fiction genres, but now that I think about it, I do love to watch those channels! I guess I do like this kind of book. I did enjoy it and I did learn a new respect fore the Cherokee Indian Nation and all Indians as far as that goes. 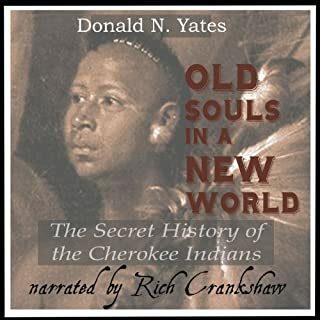 The author, Donald N Yates did a great job in his research for details on the Cherokee Indians. He did it in such a way as to hold my interest thru the entire book. The ancient alphabet sounded really hard too! Kudos to his knowledge and research for this in depth information! The narrator, Jack Chekijian did an awesome job delivering this book to us! How he was able to pronounce all the alphabets and HUGE words is beyond me. I am really enjoying his voice. I have said this before and will say it again, Jack's voice sounds like I am watching the History channel! I feel right at home hearing him speak. Kudos guys on the wonderful job! This book brings together a lot of material in one book It is an excellent introduction to the subject and provides a good jumping off points for readers who want to explore the subject more deeply. It references both historical material and modern genetics. This is a good reference book. 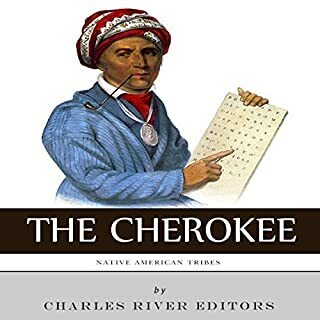 Yes, this is a very scholarly tome, and no, I have no truly vested interest in the Cherokee nation, but the materials presented can enthrall anyone with a need for knowledge. The distant history of the peopling of North America as evidenced by close similarity of words with the same meaning as those of ancient Greece, Santorini, Ptolemaic, and others is a concept researched with linguistics, mitochondrial DNA sequencing, and nearly identical oral histories. I had not been aware of theories other than the oft touted land bridge from Siberia, so it was enlightening to learn of a collapsed shelf in the Western Pacific which led to peoples from there coming by boat to the South Pacific and eventually the Americas BCE. Another interesting concept is the history of intertwining of Jewish lore and practices long before the 17th century CE. I'm afraid, though, that the presentation of a probable Jewish/Cherokee family history for Elvis Presley was more than a bit odd. I am in no way qualified to render any opinion on the validity of any parts of this work, but it is certainly fascinating. Unless these areas are ingrained to you, you will be deeply thankful to Narrator Jack for his studied ability to pronounce the names, places, peoples, and references which are rife within this work. It also helps that, while his delivery is purposefully neutral, clarity of speech, intonation, and some undefinable ability somehow manages to hold interest in the material even when it dives into academic speak. A ton of information in rapid fire form. So very much information. It all attests to man's war like nature on all sides. Historical records are more plain than my assertions. This book gave me a better understanding of part of my heritage.